Monument Valley is a beautiful puzzle game developed and published by Ustwo Games. In the game, you guide the silent Princess Ida through mysterious monuments, uncovering hidden paths, taking advantage of optical illusions and outsmarting the enigmatic Crow People. Described as a surreal exploration through fantastical architecture and impossible geometry, it doesn’t immediately sound easy to build from LEGO but that’s exactly what qian yj has achieved. 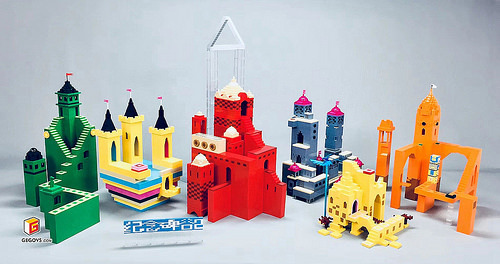 The six main structures are colourful, whimsical with an Escher-like quality of illusion thanks to stairs and clever use of colour and angles. Each structure appears simple at first but sections are not as connected as they first seem and there are some apparently floating areas within the builds. 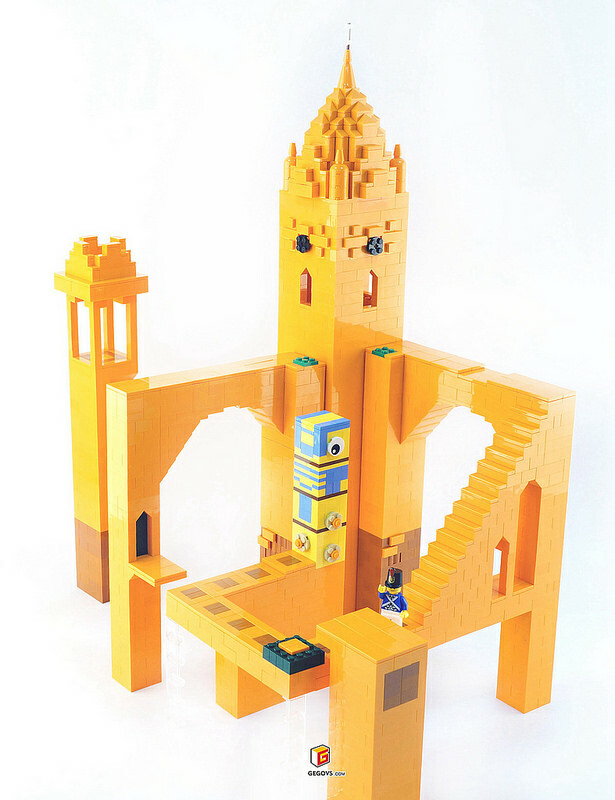 The apparently simple, surreal structures are the attraction of the game itself, and LEGO seems like an ideal medium to transfer the art from the screen. The close-up views of each structure can be seen in the builder’s Flickr album but even better is this video showcasing the creations with a mix of LEGO and Princess Ida animation.